Aiden Markram scored his third century and Dale Steyn captured three wickets as the Multiply Titans secured a 135-run victory over the Hollywoodbets Dolphins to lift the Momentum One-Day Cup for the third time in five seasons at SuperSport Park in Centurion on Sunday. Man of the match Markram smashed five boundaries and eight sixes on his way to 127 from just 88 deliveries as the Titans amassed 356 for five after being sent in to bat first by Khaya Zondo. In reply, the Dolphins were dismissed for 221 in 39.4 overs with Steyn leading the charge, ending with 3-36 in eight overs while Tabraiz Shamsi (10-1-59-2) and debutante Matthew Arnold (7.4-0-41-2) provided excellent support. "We've been very good in one day cricket over the last two years but in general the Dolphins have been a good white-ball side. I am disappointed but it happens, what can we do?" said Zondo at the post-match presentation. Zondo and the Dolphins camp will feel rather aggrieved at some of the decisions presented by the two umpires, Shaun George and Adrian Holdstock, as well as the television umpire, Bongani Jele with a host of decisions going against the visitors which took away some of the shine from a magnificent performance from Mark Boucher's men. Markram, who only played in five matches this season, took an age to get going, having scored 18 singles in his first 29 balls but then found his grove in his partnership with Dean Elgar (58) as the pair really set up the winning total with a stand worth 142 from just 94 deliveries for the fourth wicket. "It is very special, but credit must go to our top three for setting a good foundation for us, giving the likes of Dean and myself the freedom to go and express ourselves," said Markram. Theunis de Bruyn (72) and Tony de Zorzi (19) gave the home side a good start, adding 51 runs for the opening stand before Keshav Maharaj (10-1-38-1) had De Zorzi caught at short mid-wicket by Zondo. But De Bruyn, who struck four boundaries and two sixes from 87 balls, added a further 56 runs for the second wicket with Jonathan Vandiar (30) who was unlucky to be given out caught behind by Dane Vilas off Prenelan Subrayen (9-0-49-1). "It was always going to be tough against their spinners because they have quality spinners and we knew that we would have to graft a little bit and absorb a bit of the pressure," said Elgar, the Titans captain. De Bruyn himself survived an early leg before call off Eathan Bosch (8-0-69-1) but used his chance to good effect. The Dolphins had kept the Titans in check up until the point that Elgar joined Markram at the crease as the pair raised their 50 partnership off 40 balls and needed just a further 30 to bring up their 100. "I found it quite tough initially, credit must go to the Dolphins as they made scoring quite tough and they didn't give us much boundary opportunities at the start of my innings. Credit to Dean because he came in and gave the innings the impetus that it needed," added Markram. Elgar's departure and Markram's demise, caught at short third man by Vaughn van Jaarsveld off Andile Phehlukwayo (8-0-79-1), did not halt the flow of runs as Farhaan Behardien walked in and struck a quick-fire unbeaten 35 from 19 balls with five boundaries as the Titans posted the highest total for a day game at this venue. 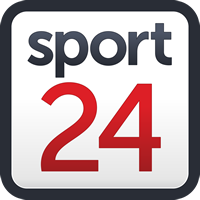 In reply, the Dolphins started poorly as Steyn made two early breakthroughs, dismissing Van Jaarsveld (5) and Suneran Muthusamy (5). Sarel Erwee (41) and Dane Vilas (59) tried to get the mammoth chase back on track, adding 35 runs for the third wicket off 29 balls but then Tabraiz Shamsi (10-1-59-2) had Erwee stumped by Sizwe Masondo after the left-hander came chargin down the wicket. "We were quite clinical with the ball. We knew they were going to come out hard but our bowlers are quality, set up by a guy like Dale, who is an awesome team man," said Elgar of their bowling effort. Shamsi was back in action five balls later, trapping a visibly annoyed Zondo in front for just a single with the Dolphins captain indicating to the umpire that he had hit the ball. But Vilas and Phehlukwayo seemed to put the frustrations behind them as they built a dangerous stand, adding 92 runs for the fifth wicket off 82 deliveries, keeping in touch with the required rate and putting pressure on the Titans in the field. But Elgar called his star bowler back into the attack and Steyn duly answered, trapping Phehlukwayo (43) in front, although off a massive inside edge with Phehlukwayo storming off the field in utter disgust at the decision. The season's leading wicket taker, Junior Dala (7-0-40-1) then had Vilas, who had struck five boundaries from 56 balls, tried to ramp the fast bowler down towards third man but found the safe hands of Steyn, who ran in and dived forward to take the catch. Once the pair had departed, the Dolphins fell away with Sibonelo Makhanya (13) being run out by Markram with a direct throw at the keeper's end. The decision was sent upstairs to Umpire Jele and replays showed that Masondo had knocked the bails off before the ball struck the stumps but he sent Makhanya on his way. Elgar (4-0-16-1) then had Maharaj (20) caught at extra cover by Markram and Arnold finished off proceedings, dismissing Bosch (6) and Subrayen (11).